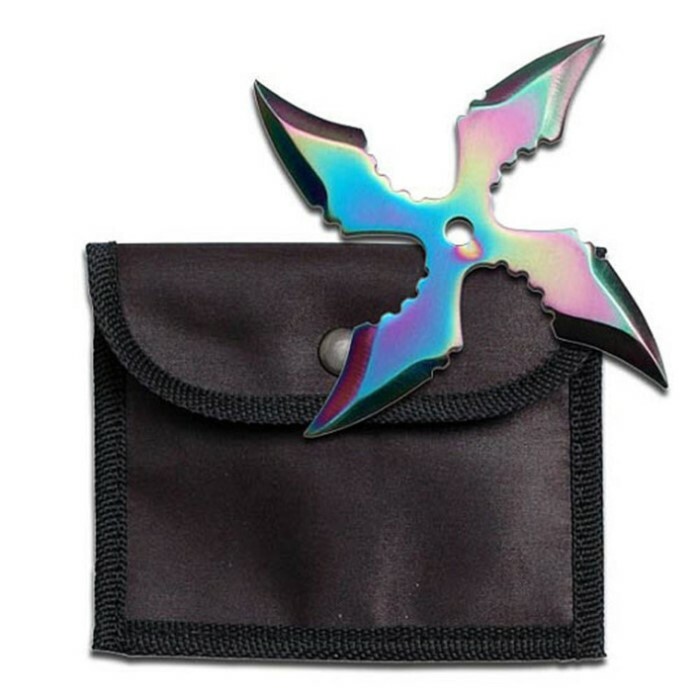 Four Point Rainbow Titanium Whirlwind Throwing Star With Sheath | BUDK.com - Knives & Swords At The Lowest Prices! Add this beauty to your throwing star collection today! Crafted of one piece of stainless steel, it features four double-edged points that will penetrate your target with ease. The colorful anodized titanium finish gives it a designer look and feel, and the whirlwind shape only adds to the beauty. A nylon pouch is included for safe and convenient storage.